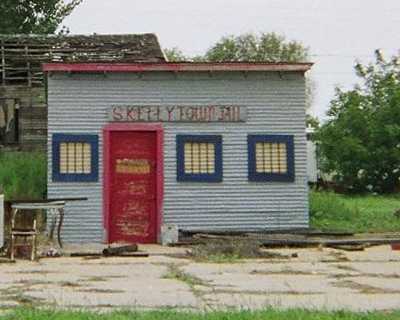 The town was named for Oklahoman William Grove Skelly, oil speculator and founder of the Skelly Oil Company. The Skelly Company tapped into the rich Roxana field - under land that had been leased from rancher Henry Schafer. 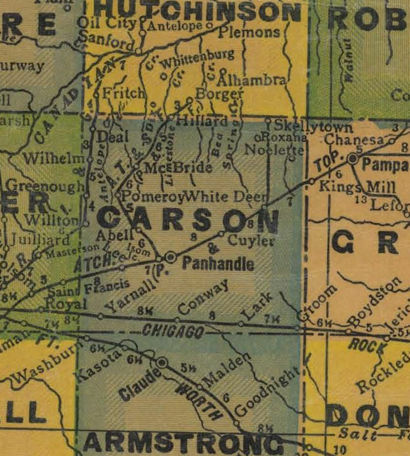 Schafer in the mid 1920s platted a town that was sandwiched between the two oil camps of Roxana (north) and Noelette (east). Growth was limited and the people who tried to settle here had no existing infrastructure. Water had to be hauled in. The Panhandle and Santa Fe Railway built a branch line from White Deer and built a depot just north of Skelly. The railroad's arrival spurred all three camps/ towns to converge around the depot and before long the Skellytown Townsite Company was formed. Skellytown had over 100 working wells and two refineries working - all within a four month period. In addition to the Skelly shops, storage warehouses and lumberyards nearly outnumbered residences. 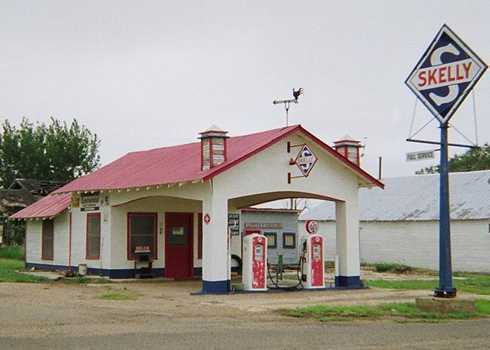 The town also had seven groceries, three drugstores, and entertainment was provided by a dance hall, movie, and at least one pool hall. For the transient population there was a hotel and many rooming houses. 1927 began with the opening of the Skellytown post office in January of that year and a weekly newspaper began publication. A small emergency hospital was opened by Dr. F. S. Coolen and an elementary school opened all within the same year. From a respectable population of 450 in 1931, it declined to only 154 in just two years. During the war the machine shops retooled for the war effort and the population rose to nearly 700 by 1943. The town incorporated in the late 1950s and a modern water/ sewer infrastructure was installed. The population was nearly 900 by the mid 1980s, 664 for the 1990 census, 610 in 2000, and 479 in 2010.